Vijay TV Super Singer Season 6 Junior is the Tamil singing reality show on Star Vijay TV. After five successful seasons of the reality show, Season 6 have already started with very young and talented voices whose age from 6 to 15 years. In this show, all talented singers put their best effort to earn the top TV Singing title. The show started telecast from 20th October 2018 and the episodes were aired on Weekends at 7.00 PM. The show is judged by the popular singer Shankar Mahadevan, K. S. Chithra, S. P. B. Charan and Kalpana. The viewers can support their favourite contestants by voting. Check out the procedures to vote for the contestants below. Below are the steps to vote for the contestants of Super Singer 6 Junior. 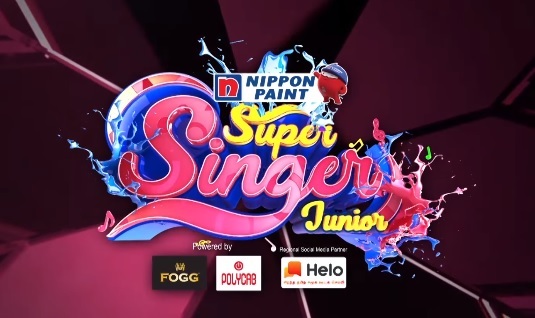 Step 1: Type “Super Singer Junior Vote” or “Super Singer Junior Voting” in Google Search. Step 2: Now the contestants photo and their name will be displayed. Step 3: Click on your favourite contestant and select the number of votes for your contestants. Step 4: Now Clik on the “SIGN IN TO VOTE” button and login your Google account. Step 5: Click on the “VOTE” button and its done. Note: A maximum of 50 votes can be made per day. Check out the contestant’s names of Super Singer Season 6 Junior below. The Super Singer season 6 was inaugurated with the presence of the Great A.R. Rahman who heard these 22 talented voices of Tamil and was amazed. 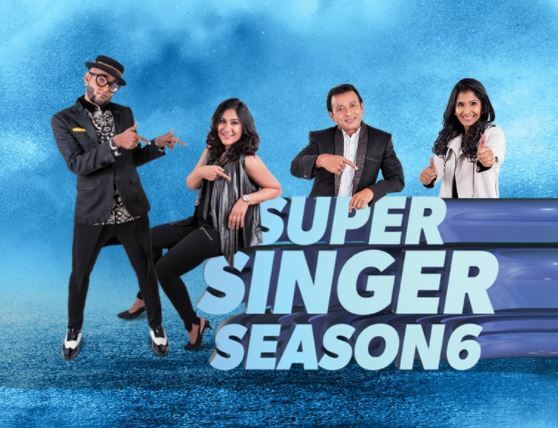 The participants of Super Singer 6 was selected by conducting auditions in various cities. Auditions were taken at different 22 locations of Tamil Nadu and among thousands of contestants, only 22 got selected finally. All these qualified contestants are highly talented singers and they have a bright future. This reality show is aired on Star Vijay TV only during the weekends from 7 pm to 8:30 pm. After hearing their talented voice A.R. Rahman declared that the winner of the show will get the golden opportunity to sing a song of his own composition. This added extra fuel to their enthusiasm in their performance and hard work to become the best. The audience can check out the official Super Singer Facebook page to get the latest updates of the show. The viewers can watch the episodes of Super singer season 6 through the hotstar website and also through the hotstar app. The Voting for the Super Singer Season 6 has already started. The voting lines are open from Sunday 8:30 pm till Tuesday 9 AM and one can cast 50 votes per day and this one can do for three days. The format of the show is almost like any singing reality show and any contestants from the age 15 can participate in this show. At every end of the week, the jury will nominate two contestants for elimination. The voting system is mechanized in such a way that the viewers with their vote can save their favorite participants. The best way to vote for any contestant who is participating in Super Singer Season 6 is through Google vote. Voting via google is the best way and one just needs to log in to Google and vote against the singer which appears on the screen with the photographs. One can get the entire details of voting for the singer and the process of voting online is clearly mentioned. Through this online help, one will know the eliminated candidates for a clear understanding. Note: A maximum of 50 votes can be made per day per Google account. Online Voting is the best way to vote for the candidates. The viewers must just follow each episode and vote the favorites and best contestant via SMS or a missed call in the number which is shared during the show. For this one need not remember the candidate’s name or face. For online voting one can get into the browser of Star Vijay TV. In the mobile, it is always advisable to download the Star Vijay TV app and then go to the Super Singer Season 6 and click on the Voting option. There the user will find the name and the photos of the contestant against which one can vote and confirm. All the pop up will appear once the user logs in to the browser or clicks on the app. It is always suggested to opt for Online voting because the process is hassle free and easy. Here are the 22 participants of Super Singer 6. Yup senthil Kumar super ?????? This cinema song not nathepurra song competition ?